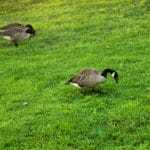 When combined, warm weather and tall grass create an inviting place for fleas and ticks to breed and live. Here’s how to identify fleas and ticks in your lawn this summer. Fleas: these teensy parasitic insects have wingless bodies. They move around and find their hosts by hopping. 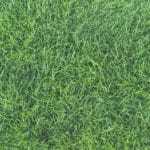 Look for fleas in shady areas of your property with tall grass. Fleas bites are identified by the red, itchy welts they leave behind. Ticks: these parasitic pests come in a variety of species, shapes, and sizes. They can be found on tall grass blades, where they wait for a warm-blooded host to pass by for them to latch onto. Once they find their hosts, ticks burrow their heads into their host’s skin as they begin to feed on their blood. 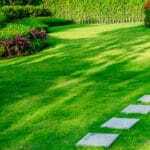 Keep vegetation under control by mowing your lawn and trimming back shrubs. Keep flea-and-tick-carrying wildlife away by fencing your property, keeping trash cans covered, and wood piles dry. 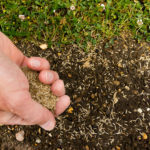 Apply nematodes to your lawn to control the pest population. These beneficial worms can be found at any garden supply store. Once fleas and ticks find their way onto your body or into your home, you’ve got a problem. Call Green Lawn Fertilizing today at 888-581-5296 for a free estimate or find out more about our Flea and Tick Program. Contact us today to find out how we keep you, your family, and your pets safe from fleas and ticks this summer! 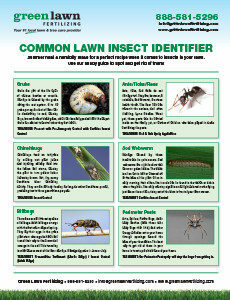 Certain insects are beneficial to a lawn; others are annoying or downright dangerous. Here are some of the most common bugs to this area and what you need to know about them.